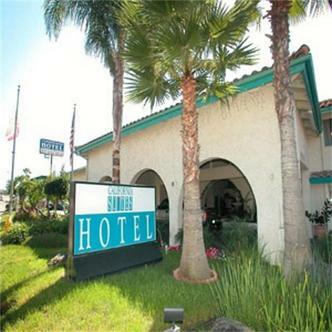 California Suites Hotel is in the center of San Diego, 15 minutes to major attractions and beaches. Enjoy our continental breakfast, attractively displayed in our poolside breakfast area. Whether your needs are for one evening, or extended stays, the lush garden settings of California Suites Hotel provide a beautiful, peaceful, setting, not commonly found in todays hotels. Thru the Internet site where reservation was made, cancel 48 hrs prior to local check in time toa avoid cancellation and/or no show charges. Any booking over 4 rooms is considered a group booking and must cancel two weeks prior to arrival. Please contact hotel for group contact.